Terminal 5 is an event for air travel. 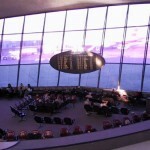 The airport terminal designed by Eero Saarinen at John F. Kennedy Airport, New York, was left vacant in 2001. The site reopens with an exhibition curated by Rachel K. Ward to respond to the transitory nature of travel, architecture and contemporary art. Sculpture, installation, sound, performance and other media take place within the luggage carousels, ticket counters, VIP lounges, staircases and the tunnel walkway. 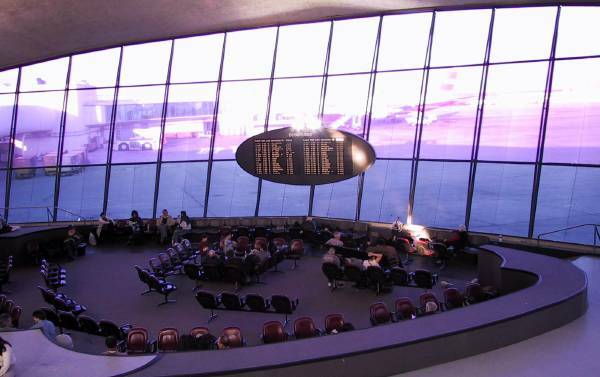 The terminal also hosts an airport media lounge, airport gift shop and ongoing “Arrivals,” a series of public events.